Right now (September 2016) it feels a little like an electoral phoney war. 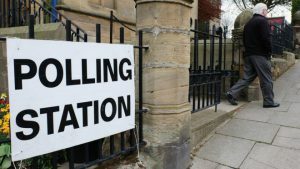 Rumours of a possible snap general election prompted the party, rightly, to do urgent selections of prospective parliamentary candidates over the summer. Will the election happen? Could a possible false alarm be helpful? One answer is to wait and see: a general election in October would point to a different strategy from one early in 2017, and as Liberal Democrats, we don’t have resources to invest a lot in an election that doesn’t happen. Focus leaflets, press releases and media interviews to introduce PPCs are a golden opportunity to highlight the ideals and vision behind our support for EU membership. They are a chance to hold the Tories to account for the destructiveness of the referendum, and for a brutal austerity which we were told was essential but was dumped suspiciously quickly — when the damage it had done had stoked support for Leave. Brexit would do great harm, not least to many of those who voted for it. We can pick up LibDem approaches to the wealth inequality that has done such damage, push for devolution to address people’s frustration at government being too remote, and electoral reform so that people feel their votes count (the present Tory majority comes down to the votes of just 900 individuals across the country). This is laying out our stall, but it is also signposting a vision at a time vision seems horribly lacking, replaced by attacks on human rights and immigration. Getting in gear now also means addressing local party web sites, Facebook and Twitter, so they are up and ready. It takes a while for these to build a following: a prod now is really useful, and can encourage people to get more involved in re-posting and re-tweeting. It should also be a spur to get more people using Connect, so they are not trying to learn that in the heat of an election. If this all a false alarm, at the very least it connects with new members and will be a good foundation for the next local elections. Since last May we have been struggling to be heard. The appointment of PPCs is a temporary opportunity to change that. Labour’s disarray means that, while we have been struggling to be heard, the country has been without a functioning opposition. It’s been horrifying to see the media obsess about Jeremy Corbyn’s railway seat when Labour should have been loudly challenging Tory proposals to repeal the Human Rights Act. The appointment of PPCs gives us a chance to claim some visibility: it seems well worth taking.